Jiamin Packaging Co. Ltd.. Supplier from Taiwan. View Company. More Items Similiar to: Jiamin Packaging Co. Ltd. Excellent Quality PET Straps PET stands for Polyethylene Terephthalate and is a high quality plastic resin in Polyester. 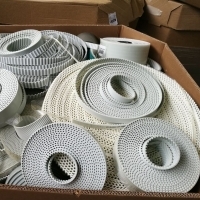 PET Strapping has a higher tensile strength than PP (Polypropylene) strapping and its characteristics are long life, resistance to ultraviolet light and are weatherproof. One of the great advantages is the high elasticity, therefore allowing the strap to maintain its tensile state even if the package shrinks after being strapped up. 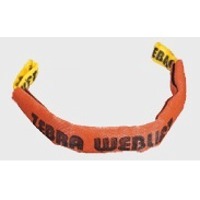 This advantage has also made PET straps a successful candidate in replacing steel strapping in various applications. Product Origin : Malaysia Key Specifications/Special Features 100% Recycle PET FLAKES We make use of 100% bottle flakes recycled material (rPET), to produce various specifications of our PET straps. It is therefore, environmentally friendly and plays a role in the helping the industries go green. As recycled materials are less expensive compared to virgin PET, this has allowed Massive Captech to transfer the lower cost directly to our valued customers! Other Industrial Packaging Products Massive Captech Sdn Bhd also supply various industrial packaging solutions such as Stretch Films, PP straps, Steel Straps, Paper Pallet (patented) for all our customers. Our offerings will help customers obtain a turnkey solution for all their industrial packaging needs. 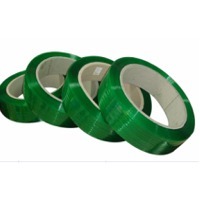 Our antistatic PP strapping band presents a resistance value of around 10~11 ohms and it has been using in domestic and international IC tray packaging industry a lot, such as Elpida and ASE. And it can be customized for any assignable colors and trademark-printing as well. JMPACK has a unique technology of fabricating antistatic PP strapping band by the way of adding instead of coating, which has been using as a traditional technology since a long time ago, antistatic materials and additive. (Please download the product menu for your reference.) Strap Width: Customized Strap Thickness: Customized Strap Length:Customized Strap Tensile Strength: kg Strap Color:Customized Strap Heating Resistance: °c / Hrs Strap ESD: Less than 0.05kv Strap Ohm Value: 10~11 ohm The regular Anti-Static P.P. Strappingresistance value ( within1011Ohm ) Electric conditon P.P. Strappingresistance value ( within106Ohm )After 170°C, 36hrs treating Non-shrinkage of Anti-Static P.P. Strapping Bandresistance value ( within1011Ohm ) After 125°C, 48hrs treating Non-shrinkage of Anti-Static P.P. Strapping Bandresistance value ( within1011Ohm ) After 150°C, 48hrs treating remaing fabulous performance. Our company sells: PP/PET strap. Minimum quantity - 20 tons/ container. Please request photos. The colour combination as shown in the chart is a mere indicator, however the colour may change subject to availability of raw materials. Features Two types : Flat webbing & Endless sling Flat and wide load bearing surface Lifts smooth and fragile objects without risk of damage High strength to weight ratio Colour coded for identification even when soiled Wide variety of lifting modes Anti-abrasion webbing sheave (AAWS) protection available Anti-cutting Sobitex polyurethane sleeves to protect your webbing slings from extra sharp edges Conforms to B. S. 3481 Part 2 Zebra flat webbing slings are manufactured from high tenacity, 100% polyester yarn. Simplex slings is a single layered webbing. 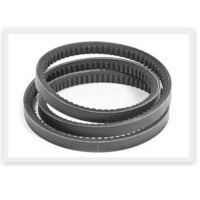 Sling ends are terminated either in reinforced loops or any combination of metal end fittings. Manufacturer’s test certificate is provided for safe work load along with the slings. 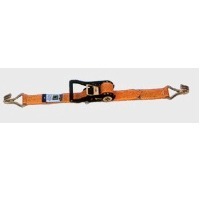 Simplex slings are preferred because of their broad width which gives wider support to lifts. The slings are of three types, namely simplex sling with soft eyes, simplex sling with metal end fitting and endless sling. They normally lift loads with the sling revved around the load (Choke hitch), or on two parts of the sling (Basket Hitch). They are tested in straight pull. Factor of safety for webbing 1:7 The colour combination as shown in the chart is a mere indicator, however the colour may change subject to availability of raw materials Features Soft, supple, and light in weight, easy to handle. Internationally identifiable colour code, SWL shown on slings and also shown by the way of woven stripes i.e. each black stripe for each ton. Being endless, wears evenly as there is no single point use. 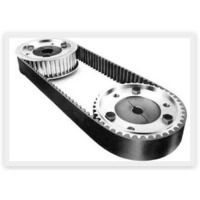 Ideally suited for lifting smooth, polished or coated objects. Conforms to B. S. 6668 Part 2 and Indian standards. 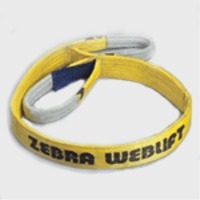 Zebra Round Slings are light weight compared to the working load ratio and being Polyester do not rust or corrode as in metal slings. These slings have no danger of hand injury to workman caused by cut wires and does not spark, hence can be used explosive environment. The elongation factor on load is only 3%, hence it absorbs the load while lifting. Zebra Round Slings flattens and adjust to contours of the load point thus forming a firm grip.